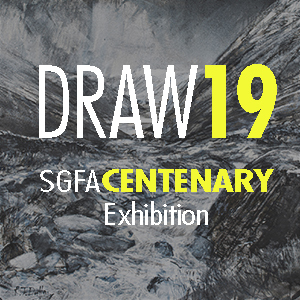 The Society’s DRAW 19 Exhibition is now open for submissions. Please download and read the SUBMISSION INSTRUCTIONS which will provide you with more information about the submission and selection process before you enter your work. If you have any queries about the submission procedure please email enquiries@sgfa.org.uk and we will get back to you as soon as possible.